Asian-American groups in the San Francisco Bay Area are trying to assist Cambodian refugees who received summons this month to show up to the Immigration and Customs Enforcement office, where they will most likely be detained. 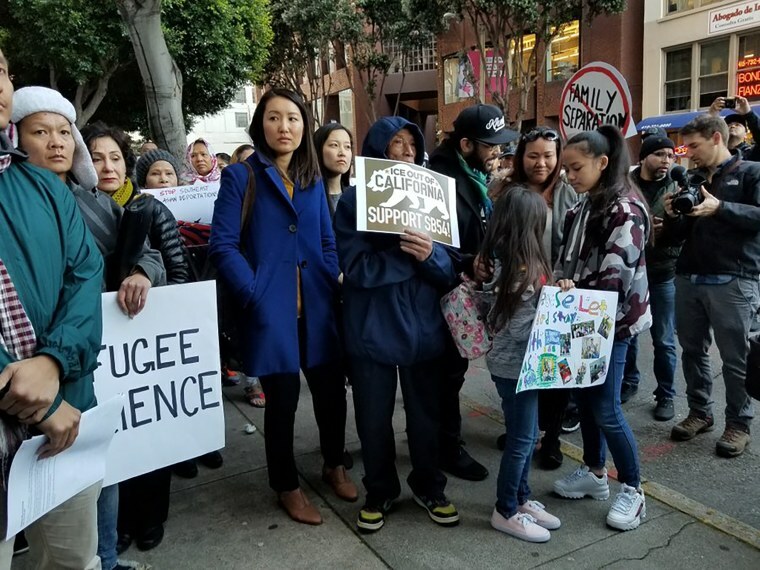 According to the Asian Americans Advancing Justice-Asian Law Caucus, a legal and civil rights group, at least four refugees in the Bay Area were detained on March 13 during an immigration check-in. Two of them are being represented by the caucus, which is fighting their deportation orders. Hov, according to The San Francisco Chronicle, served a five-year sentence after his conviction. "I did my time," Hov told the Chronicle. "It's a choice I made when I was young, and now I'm paying for it. But it shouldn't be like this." In February, a client that Lo and his colleague Melanie Kim co-represented became the second Cambodian deportee to return to the United States, an event made possible because of changing immigration laws — including what convictions make an individual removable from the U.S.
Cambodia has historically been slower in accepting individuals being deported from the United States because of the unique history between the two countries, but advocates have said that the targeting of the community has worsened under the Trump administration. In fiscal year 2018, a record 110 Cambodians were deported, compared to 29 and 74 in the two previous fiscal years. Along with representing refugees facing deportation, Asian Law Caucus has also partnered with other community organizations — Asian Prisoner Support Committee, Empowering Marginalized Asian Communities and the Center for Empowering Refugee and Immigrants — to address the needs of those affected because of the financial, emotional and mental tolls that detentions take on family members.